I remember when the seven of us at Supergiant were days away from revealing our first game, Bastion, back at PAX Prime in 2010. The game had been in development for about a year but we were only just figuring out how to talk about it to the public. When people would ask us “what is this game about,” what would we say? We weren’t sure at first, because Bastion is an action RPG where an old man talks to you the whole time — and that sounds really, really terrible. Thankfully, those who played it tended to come away with a much more positive impression. We eventually came up with stuff we could say about Bastion with a straight face, but by far our favorite way of presenting the game to people was to invite them to play it. Now here I am trying to tell you about our next game, Transistor, and I wish I could just hand you a controller and let you try it for yourself. We revealed it earlier this year at PAX East, and today we’ve announced it will be making its console debut on the PlayStation 4 when we’re finished with it sometime early next year. If you check our reveal trailer, you’ll get a feel for what Transistor is like, though let me give you a little more background. At Supergiant our games take inspiration from many of the most memorable games we played when we were kids. In my case it’s a very long list, everything from RPGs like the classic Ultima and Final Fantasy games, to fighting games like Street Fighter II and Samurai Shodown. Those games challenged my preconceptions of what games could be, and introduced me to unforgettable worlds and characters. Rather than throw back to the classics, though, we’re much more interested in capturing the experience of playing games like that for the first time. It’s that rush you feel when you find a game that’s incredibly novel but turns out to have a lot of depth there too… the kind of game you lose yourself in, and that leaves a lasting impression long after you’re done playing. Bastion was our first attempt to act on this aspiration, and fortunately, it got a great response from around the world. It’s sold more than two million copies and earned more than 100 industry accolades, and put us in a position to maintain our independence, stick together as a team, and make something new. And, when it came to making something new, that’s exactly what we wanted. 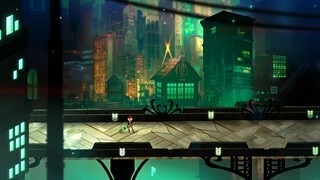 With Transistor, our aim is to create a unique-feeling game with its own strong, distinct identity, and many of its own surprises. We’ve been working on Transistor for about a year and a half now, and most of the time has gone into finding that identity for the game. The result is a play experience that merges the kind of immediate moment-to-moment action we love with a much more deliberate and thoughtful strategic layer that lets you dictate the pace of a battle. We took inspiration from our favorite turn-based games and tactical RPGs, and aimed to capture the inherent drama and suspense of that style of play but in the context of an easy-to-learn action RPG. 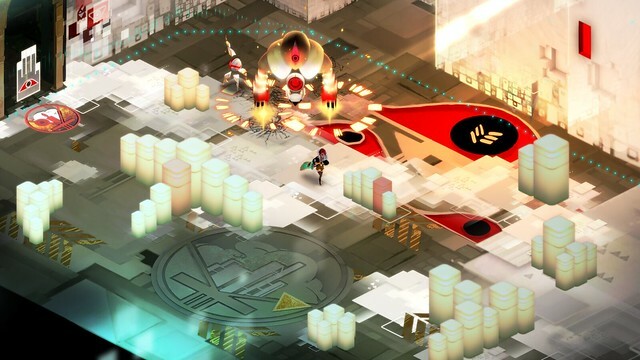 There’s nothing like turning the tables from the verge of defeat with some sort of spectacular last-ditch reversal, and the moment-to-moment play in Transistor should be packed with those kinds of opportunities. It’s all presented in a way that we think is unique to our game, and deeply connected to the story of this mysterious and powerful weapon you’ll be using throughout. While I still sometimes struggle to find the words to describe the game I’m working on, I love talking about it almost as much as working on it, and I’d be happy to answer your questions right here in the coming days. In turn, if you want to know more about what we’re up to, please have a look at our web site or keep an eye on @SupergiantGames. In the mean time, we’ll keep doing our best to make a game that lives up to that Supergiant ideal. This game looks really fun cant wait to hear more details in the future. Wow, that’s some stellar art direction! The song during the trailer was perfection. Thank you Sony, for bringing awesome indie games to the PlayStation platform. Any chance we can get Bastion, btw? Hey thanks in turn! 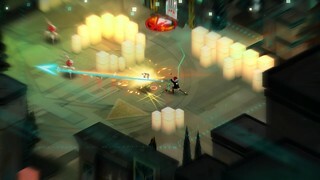 All our focus right now is on Transistor though beyond that we haven’t ruled anything out. Good to see you guys on PS4, I loved Bastion. Looking forward to this! This is nice and all, but what about a Bastion port to PS3/PS4/PSV with cross buy? This game looks absolutely sick! So weird to be reading another post from Greg again, and especially on this site. Can we change the layout to the old GameSpot layout just for this article at least? Also, pumped for this. Hopefully Bastion can come over as well. Hah thanks…! Appreciate you remembering me from the GameSpot days, feels like a lifetime ago! 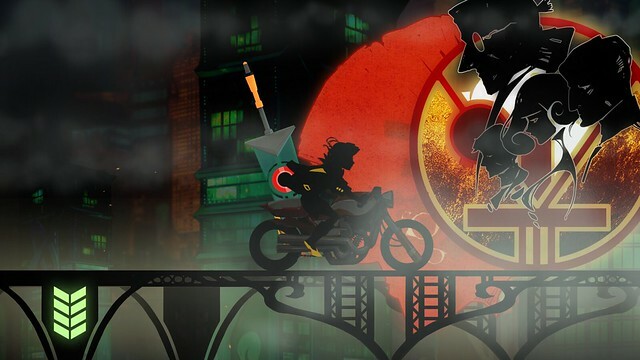 Looking forward to Transistor to the point where I’ve been visiting your reveal trailer daily on youtube just to listen to the small OST sample you have of Red singing. Won’t be at PAX, but I hope to see some more information then. Right on, much appreciated…! The music will be a big part of the game, glad you like what you hear of it so far. 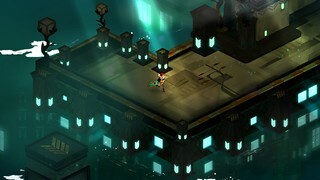 I am floored that Transistor is coming to PS4 (hopefully PS Vita too)… please bring Bastion to PlayStation also! Oh and I would give anything for Bastion on PlayStation. Please make it happen (to whoever can make it happen). When I saw this when it was announced I was hoping it’d come to the PS4 and now that it is I’m so psyched, can’t wait to play. Please bring Bastion to PSN! I’ll echo the sentiment for Bastion. A release of that would be amazing. 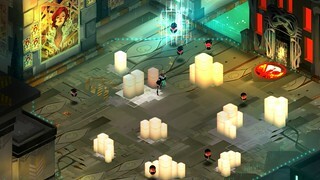 Now, as far as Transistor, that song in the trailer is infectious. Been listening to it constantly. If the entire soundtrack is on a similar level, I’ll be looking to getting that along with the game. can we look forward to 24-bit/lossless audio on PS4 (and/or PS3?) Developers had trouble streaming bluray-quality assets and taking advantage of the audio/HDMI capabilities due to the PS3’s limited RAM and I/O throughput, but on the PS4 there’s no excuse. right? any GLBT characters or themes? another vote for Bastion on PS4/Vita! Why is this game only coming on PS4 (and pc)? I understand its the hot new console but there is no way that this game wouldn’t be also possible on a PS3; at most a concession would have be made to run the game at 720p instead of 1080p. There’s absolutely nothing wrong with bringing awesome indie games like this to the next gen but at the same time if the older systems can handle it let them have it too!